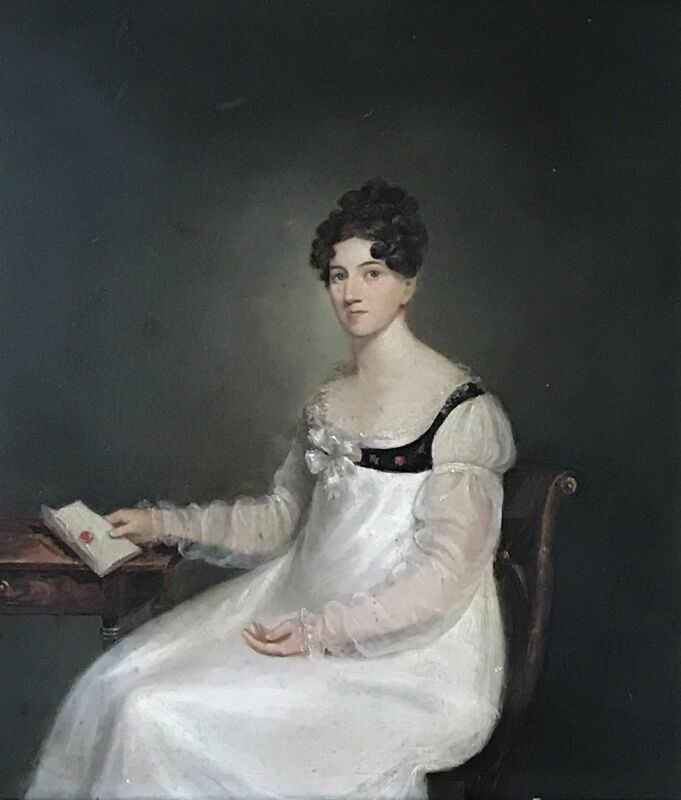 This ¾-length portrait shows a young lady holding an opened letter and seated by a library side table on an elegant desk chair with a gently curved back and gilded decoration. 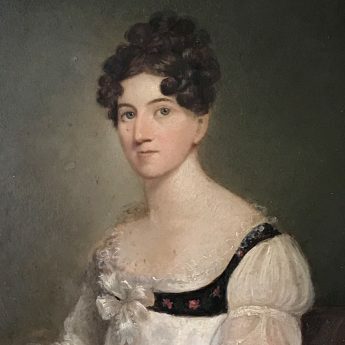 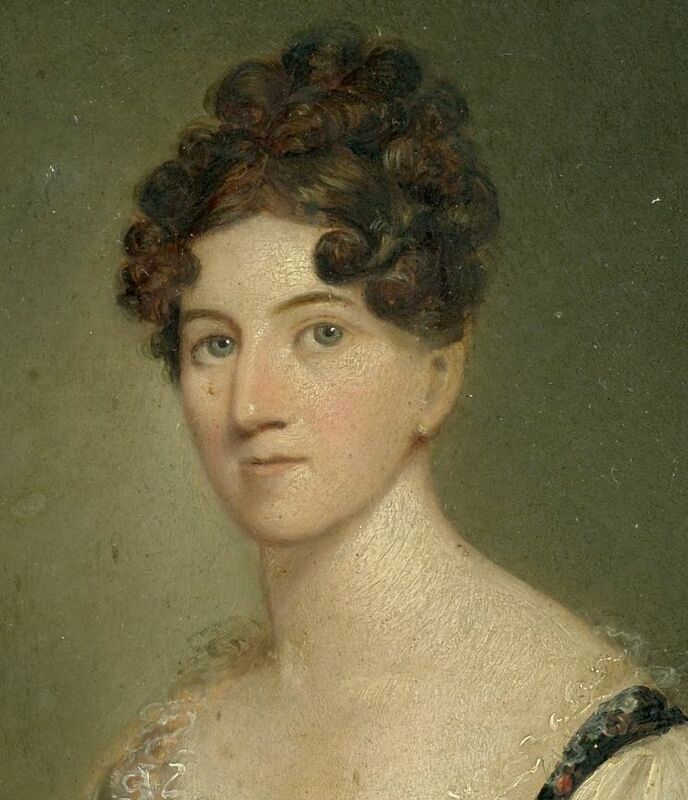 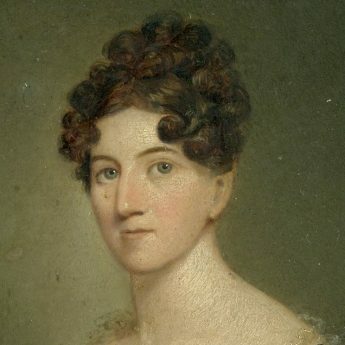 With her hair fashionably curled and upswept, she is wearing an empire-line dress with sheer oversleeves and a large ribbon bow on the corsage together with a pretty black spencer patterned with red roses. 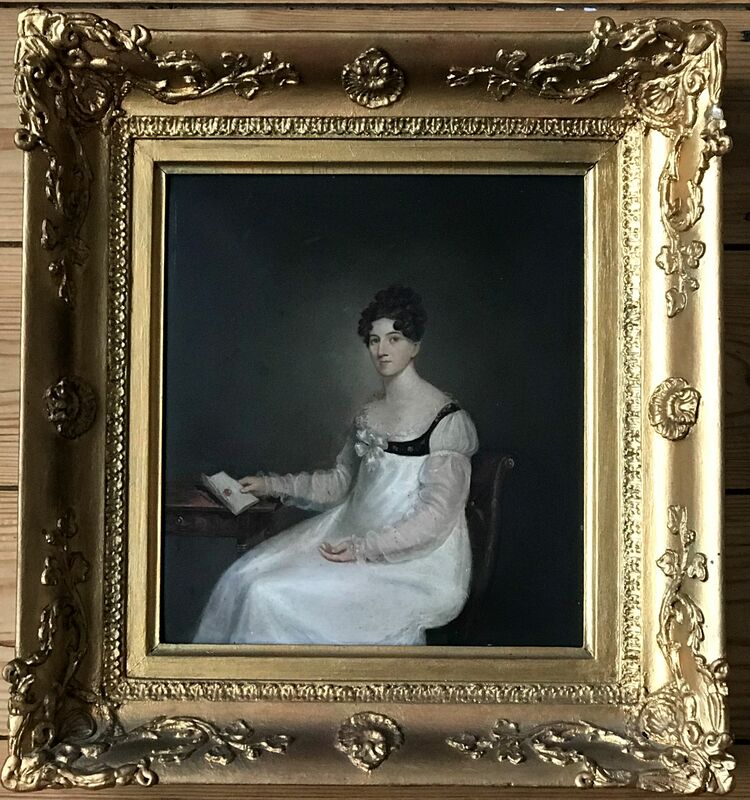 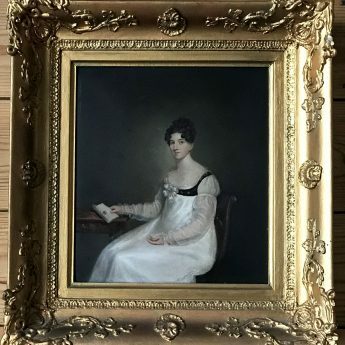 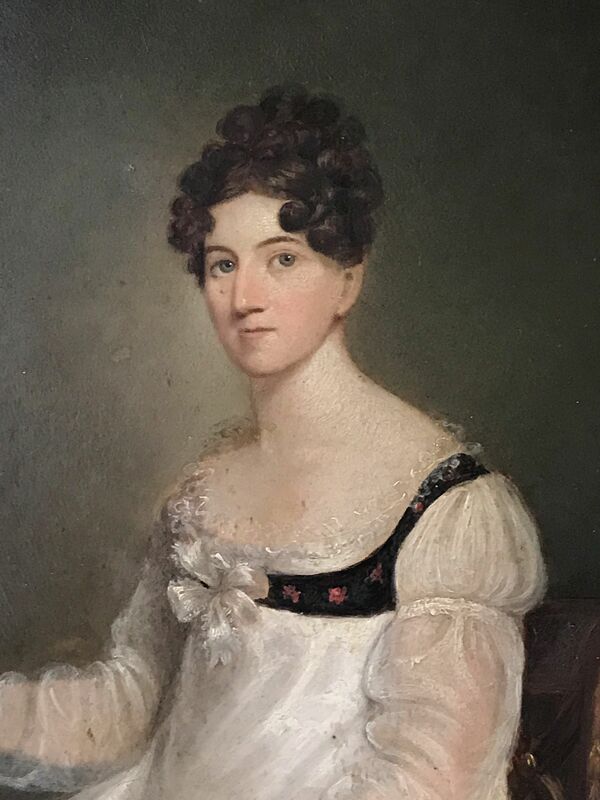 The portrait is painted in oils on a wooden panel and is housed in a period giltwood frame with shell decoration and an inner egg and dart border.